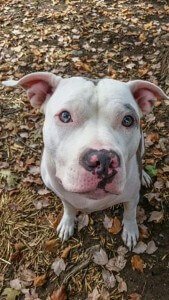 Pitbulls have a bad reputation of being one of the most aggressive dog breeds. 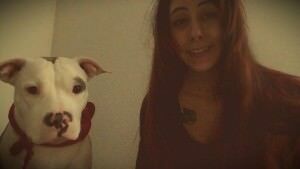 Most people would think that a pitbull would attack for no reason but that is untrue. A Russian family is one example of people who are trying to change the breed’s bad reputation. 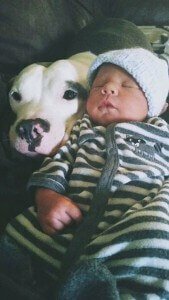 The family has a white pitbull named Akamaru who has a sweet and cuddly personality! Akamaru, whose favourite cuddle companion is the family’s baby, is only 2 years old. 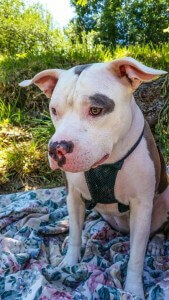 His owner, Justin Acuff, shared many photos of Akamaru online to show that not all pitbulls are aggressive. 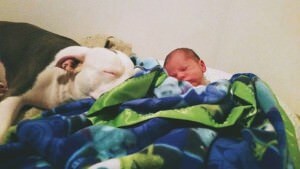 The family did not worry about Akamaru being close to the baby as he is well-trained and socialized. 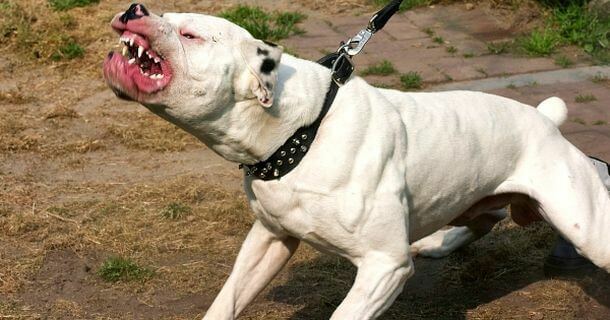 Due to their muscular body and powerful jaws, they are commonly used as fighting dogs in dog rings. 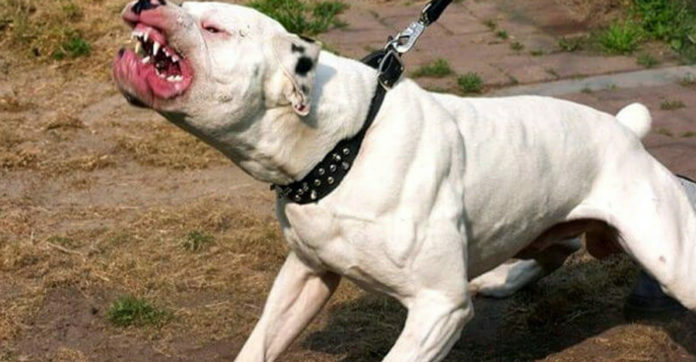 However, because of their reputation as a fighting dog, most people do think that they are naturally aggressive. 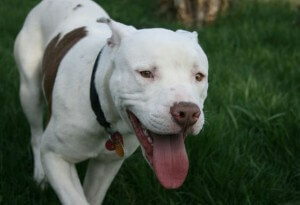 The media also worsened the breed’s image further by portraying them as an aggressive breed. 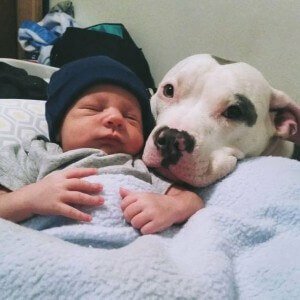 What most people do not know is that any dog, regardless of the breed, is not naturally aggressive. Akamaru is a good example of such a dog.